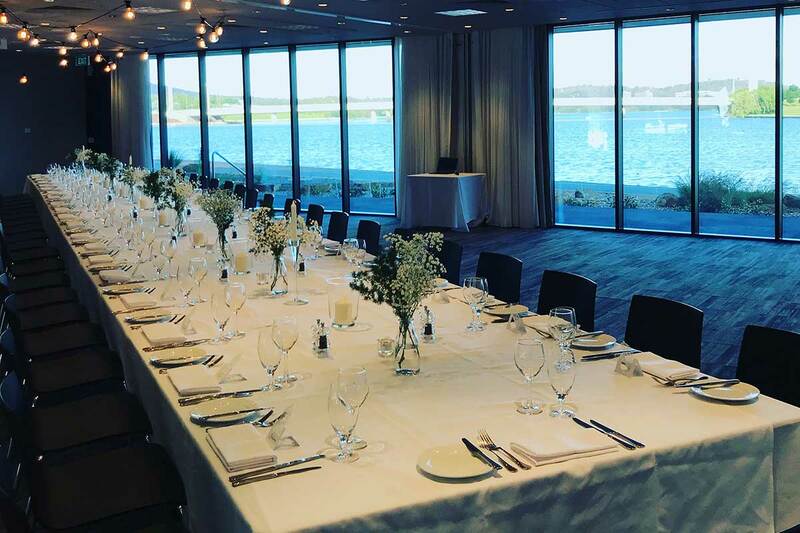 Located right on the water’s edge, the Peninsula Room is surrounded by windows that offer an abundance of natural light and views over Lake Burley Griffin. It is both a practical daytime venue and intimate evening event space. At the rear of the room, guests look into the Museum’s Garden of Australian Dreams. Guests also have exclusive use of a deck and undercover outdoor area, perfect for pre-dinner canapés or a conference breakout space.